few years, Kris Kristofferson was evolving as a multi-dimensional writer-artist-actor, Charlie Rich had sold 7-times platinum only recently, Dan Fogelberg and Jimmy Buffett were surfacing from Nashville, and Billy Swan’s single “I Can Help” had exploded at pop radio by then. I had been working at Leber-Krebs, Inc. in New York, arguably the biggest and most successful rock management company in the business at that time. It was a chaotic place, and although I was involved in a number of successful projects that year including “Beatlemania”, Aerosmith’s “Rocks” and Ted Nugent, Nashville seemed like a place to return. I thought that artist management might be the next emerging career in the Nashville music landscape. 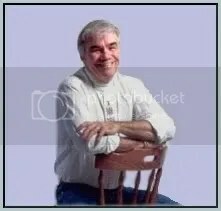 I partnered with a friend from my previous life in Nashville, Don Cusic, who is now a long-time professor at Belmont University, and an author of numerous books about country music artists. We started the company with virtually no money, but we had one lone artist in a guy named Dickey Lee. Dickey has quite a history! 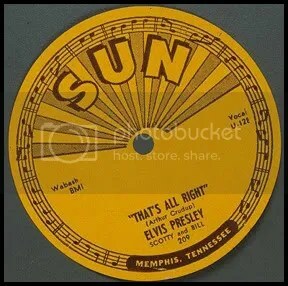 He grew up in Memphis, and was an original Sun Records artist, signed by the legendary Sam Phillips. Sam’s success with rock’s earliest stars, Elvis, Jerry Lee, Carl Perkins, Johnny Cash, and R&B artists was fundamental to the creation of rock and roll, including his work with artists such as Ike Turner and Howlin’ Wolf. Dickey never had a hit at Sun. However, he did form a life-long friendship with Sam’s son Knox Phillips. In a way, Dickey became a surrogate son to Sam, and Sam playfully always told Dickey that he owed him for not making Dickey a legend like so many other Sun artists had become. Sam had a special place in his heart for Dickey Lee, and Sam’s lament was kind of a warm, humorous bond between them. 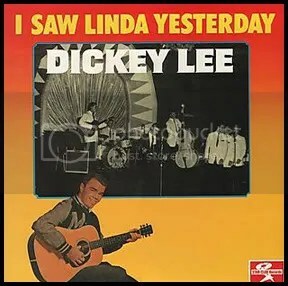 After Sun Records, Dickey Lee became a pop star in the early ‘60s. His hits included the 1962 Top 10 hit “Patches” on Smash Records, and a couple of Top 20 singles over the following year or two. There was the Dion-esk “I Saw Linda Yesterday”, and another teen-throb tragedy ballad called “Laurie (Strange Things Happen)” that was in the vein of “Patches”. Dickey toured with all the teen stars from that era like Bobby Darien and Fabian. The Big Bopper, and Dion. well. This success as a country writer evolved for Dickey into a new career as a country artist in the late sixties. By 1971, he had a Top 10 hit with “Never Ending Song of Love”. Dickey had a few more Top 10 country hits over the next couple of years on RCA Records. However, his country singles success had not translated into album sales the way the label envisioned. By the time we began to manage Dickey in 1978, he had a very steady touring career doing country package shows, he had country chart singles and hits, but something needed to happen to jump-start album sales for his recording career. to create a complete picture of the three facets of Dickey’s musical successes. Dickey had never been happy with how he had been imaged, as country music in those days had few even decent photographers. Virtually no one at the labels ventured beyond creating packaging that serviceable. Major labels had only recently even begun to explore any kind of marketing services. 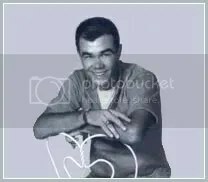 We had no budget, but we found a young photographer we liked who had no track record, and he did a photo shoot with Dickey that finally captured his warmth, unending youthfulness, and some rock energy that was rare in country music in Nashville at that time. I was trying to find every possible way to get people to better understand Dickey and respect him and enjoy him for who he was. What else could we do to bring attention to this “Best of Dickey Lee” album? I said to Dickey that we need to also tell his story inside this package. We needed to get his fans more involved in his history. We needed liner notes. 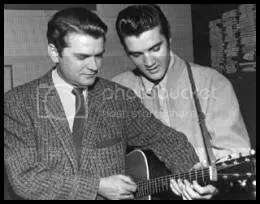 And the biggest impact I could see for us, was to get Sam Phillips to write the liner notes! I thought it was an absolute long-shot. Sam Phillips was this untouchable legend, virtually atop the music industry pop/rock/country hierarchy for seminal influences. 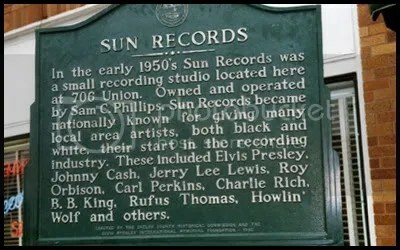 This was the man who ultimately invented rock and roll via his Sun Records label. Would he actually pick up a pen and write a liner note for anyone? He probably had no reason to do so. older brother spoke of his name in reverence since I was six years old; a phone call from Sam Phillips was an out-of-body experience. Sam called and simply asked what we were doing and what we wanted him to do. I explained our situation with RCA, that I thought our deal there was tentative based on album sales and that pulling together all the creative elements from Dickey’s career would hopefully help us create a new energy at the label for Dickey and stimulate some new sales. I told him how much it meant to all of us, and especially Dickey, that he was willing to write the liner notes for the album. Sam said good-bye, and that was that. After the call, I thought how my mind had raced when I mentioned RCA to Sam. I guess I had some awareness that he was never happy about the legendary deal when Sam sold Elvis Presley’s recording contract to RCA for $35,000. For any of us in the business with any sensitivity for the indie record business over the years, it is easy to understand that small record companies often are forced to make such deals to survive. And that’s what Sam had to do. He might not have been happy about it, but supposedly, it was a better deal than the $25,000 that Atlantic offered him for Elvis’ contract. And before we get feeling too bad for Sam Phillips, it should be remembered that he invested some of that money in a new Memphis-based company called Holiday Inn. Sam allegedly made hundreds of millions from that deal. Well, a couple of weeks after my call from Sam, a large manila envelope arrived at my office. It was early on a Monday afternoon. I remember it well! Dickey and his band were on the road that previous weekend. I opened the package to find several hand-written pages that were obviously the Sam Phillips liner notes that would clearly create much needed media attention for Dickey’s “Best of” album. I don’t think there was a cover note… just Sam’s stream-of-consciousness on behalf of Dickey. And to my immediate horror, the first couple of sentences exploded off the page as Sam Phillips’ tirade on RCA. Like a ton of bricks, I instantly knew we could never use this. RCA would never LET us use this stuff. My hands collapsed to my desk with the notebook/legal pad papers. We didn’t have our validating stamp of approval from Sam Phillips. My mere utterance of the name RCA must have triggered a lot of extremely bad history for Sam. I don’t even know how much of the several sheets of handwriting I even read. The instant I knew we had nothing for the album; the rest of the screed became a blur. To this day, I have virtually no recollection of exact what Sam wrote, other than it was his vent toward RCA that came from the Elvis deal. A couple of hours after I received the package, Dickey called. He and the band were back home in Nashville, and he wanted to fill me in on the weekend’s shows and catch up on our plans for the week. I told him we received the liner notes from Sam… and I told him they weren’t usable on the album. I told him I would give them to him when he came by the office, which I believe happened later that day. I never made a copy. I’m sure Dickey was a little disappointed. However, you see, Dickey knew Sam more like a dad or an iconic uncle. Sam’s response was probably entirely natural to Dickey. This unassuming, easy-going artist knew Sam Phillips in a different way. Subsequently, RCA dropped Dickey. His royalty account was simply too unearned as an artist, and the label never released the album. Dickey later re-recorded everything again and put it out himself adding a few of his other favorite songs and now sells it at his live shows. However, the Sam Phillips liner notes never surfaced. Those liner notes are a hand-written manifesto that is a virtual Magna Carta of Rock and Roll. I recently had a wonderful dinner with Dickey. We had drifted away in our different directions after that year. Dickey has since been named to the Country Music Songwriters Hall of Fame. In his early seventies, he’s still somehow so youthful. He’s still one of the nicest people you could meet in this business. He’s been engrained in the environment of music history – be it pop or rock or country all his life. He was like a son to Sam Phillips, and Sam’s notes weren’t so earth-shaking to him. I asked Dickey if he still had those liner notes. He said he did “I know I have them… somewhere.” I am sure he does, as he always was extremely well organized. A young friend of mine, Homer Berkowitz, who is a professor at Full Sail University, in Orlando, Florida, and I had a chat about this story a while back. He commented that the interesting irony is these notes from Sam Phillips venting about RCA, would probably sell at auction for more money than the original sale of the Elvis Presley contract from Sun Records to RCA. This was Sam Phillips’ rant. This was his response to the first famous deal in rock and roll. This deal was legendary. And this was his answer to it. I’d really, really love to read those notes again. Wouldn’t you? © 2009 by Dan Beck. All rights reserved.